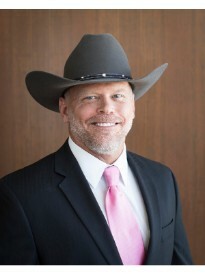 Kevin Ward is the founder and agency owner of a Goosehead Insurance franchise located in Amarillo, Texas. Kevin, along with his Goosehead team, are fully committed to providing the best available coverage on the market by representing a variety of A-rated local and national carriers. Because we are all unique in terms of coverage needs, finding the right insurance plan can be a daunting experience - but it doesn't have to be. Utilizing Goosehead's industry-leading technology, along with superior customer service, Kevin and his team have the ability to tailor a policy package that will best serve each and every client across the great state of Texas. His goal is to continue to build relationships with his clients by always simplifying their insurance needs, and to advise them on what options, discounts and savings are available. Prior to launching his Goosehead franchise, Kevin worked in the oil and gas industry, where he spent time off the west coast of Africa inspecting and servicing various components on a deep water Drillship. Away from work, Kevin enjoys spending time with family and friends, Texas style BBQ, pistol/long-range rifle shooting and scuba diving, to name a few.